In the course of his inspection-related work, Kevin has watched the need for competent consulting, resource, and support services for home inspectors continue to grow. As a consultant and advisor, his background provides him with a comprehensive understanding of the unique needs of home inspectors as well as the challenges inspectors have to confront. 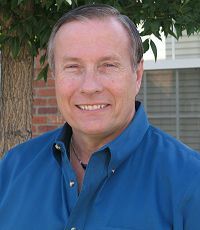 During his career, Kevin has helped home inspectors in Colorado, Kansas, New Mexico, and Arizona save over three million dollars in demands made against them and their companies. In the past two years alone he has helped Arizona inspectors save over one million dollars in potential claims for damages demanded by customers who alleged that the inspectors had performed negligent inspections. He assisted them in formulating written responses which clearly and unequivocally demonstrated that their inspections had, in fact, been performed in accordance with all applicable standards as well as with the terms of their inspection agreements and that these inspectors were not negligent. "I know firsthand why Kevin’s students nicknamed him 'The Housewhisperer.' It's uncanny. He can accurately tell me things about houses he's never seen. He just says it's experience. I’m glad I've got his experience and ProSpex to back me up when I need it."